Anonymous Male steps forward — Accuses Senator Cory Booker of Sexual Assault! An anonymous gay male stepped forward today and released a shocking description on how he was sexually assaulted by Senator Cory Booker back in 2014. 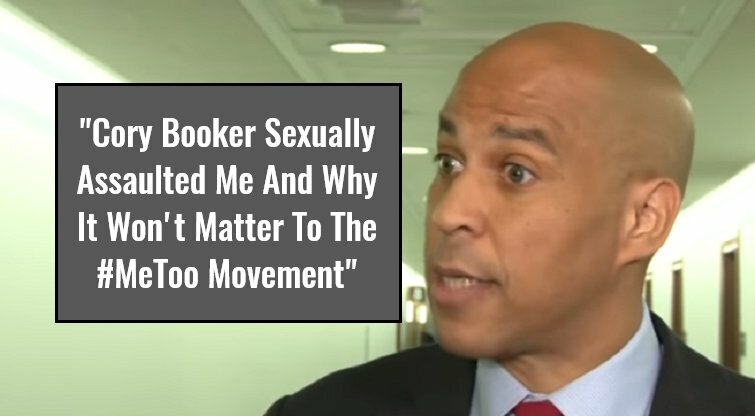 The man claims Booker came to his workplace to speak, met him as he was coming out of the men’s room, and then pulled him back into the restroom and sexually assaulted him. The young man is a gay man and Democrat. The man tells a very detailed analysis on what took place at his work. The man says he reached out to Ronan Farrow but the #MeToo reporter did not show much interest in his story. The Gateway Pundit reached out to his attorney and we have have her response below. The Gateway Pundit reached out to Civil Rights Lawyer Harmeet Dhillon. Harmeet is very tight-lipped about what she knows at this point. Harmeet did tell The Gateway Pundit — The man is considering the situation and has no further comment at this time. Obviously, we will provide updates to this story as it develops.